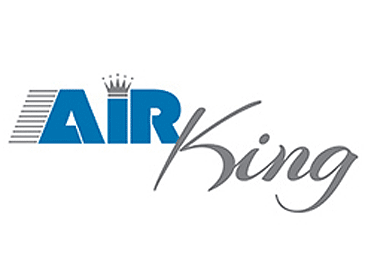 Air King has a long history of providing high-quality filtration equipment that captures airborne nuisance particulate and improves workplace air flow. The company has manufactured industrial air cleaners in the U.S. since 1978, specializing in self-contained filtration solutions configurable in a range of options to suit almost any manufacturing need. Air King’s durable filtration equipment improves working conditions and keeps fabrication facilities operating efficiently. Air King air filters’ 16-gauge powder coated construction yields a sturdy unit that withstands relocation to accommodate growth or space redesign. The compact size of the Air King filters allows unique placement options, like ceiling suspension. Designers use state-of-the-art engineering techniques to create optimized air flow for multiple situations with a combination of filters, installation, and placement. 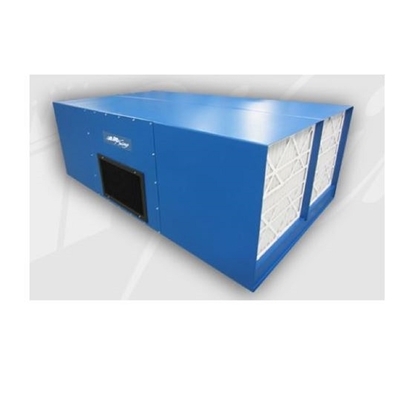 These powerful dust, fume, and mist filtration units are endlessly customizable, with four-way louvers allowing for actively adaptive airflow pattern control. Air King filtration systems easily adapt to manufacturing conditions by altering placement and installation specifications. The filtration units continuously pull contaminated air through multiple stages of highly efficient micro-glass filters before being reintroduced into the working environment without complicated and expensive duct work. Adjust your filtration system for maximum performance and deliver a cleaner, healthier atmosphere for your employees. The compact Air King M-series feature a simple pass-through configuration with inlets opposite a filtered air exhaust. Ideal for smaller spaces where dust, smoke, or odor is a problem, these versatile units can be installed in multiples for larger areas to create a more effective positive airflow pattern. 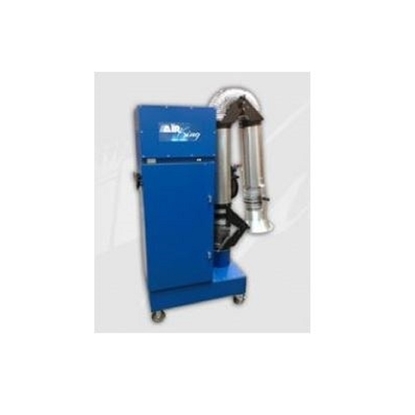 The Air King Vertical Mist Collector series collect irritating oil mist, smoke, chemical fumes, or dust generated from metal finishing and forming processes. These self-contained units can be installed directly on or adjacent to a machining center. Ease of installation and low maintenance help make the VMC a practical and economical solution for capturing harmful contaminants. The Air King Robot Hood series units are a cost effective solution to area-specific air filtration needs. These units are ideal for use over robotic welders, machining work cells, plasma/laser or other cutting tables, or to isolate high concentrations of airborne nuisance particulate. The modular design of the Robot Hood’s durable all-steel construction allows placement inside a confined space or hard to access location, as the unit can be shipped in components for on-site assembly. The Air King Filter Wall series units provide side and back-draft air filtration and are available in a number of sizes. These units are ideal for use near welders, machining work cells, plasma/laser or other cutting tables, or for any space with high concentrations of airborne nuisance particulate. The Filter Wall series is all-steel with a forklift slip-base that allows easy installation and manageable transport. Reduce the cost of capital equipment ownership and keep your facility operating at peak performance with Air King’s line of quality staged media air cleaners. The multi-stage Air King replacement filters showcase the company’s attention to detail during research and design. Efficient cartridge design maximizes clean air, protecting your employees and property from dust hazards while maximizing production uptime. To limit maintenance costs and fulfill the company’s commitment to easy serviceability, many of the Air King series feature industrial pre-filters to capture large particles. This extends the life of the second stage multi-pocket disposable Air King bag filters. Air King’s versatile line of filters is popular with customers seeking a custom solution. Air King pleated filters are available in multiple filter configurations, to allow you to select a fiber solution that best fits your specific filtration needs. Easy installation and maintenance provides even more value, making the solution as cost efficient as possible. An optional filter change indicator reduces unnecessary maintenance and filter changes and boosts your bottom line. RX4CleanAir has authentic Air King replacement cartridge filters available for order when you need them. Our knowledgeable and dedicated customer service team can help you make the right decision for your equipment. We are committed to providing the right filter to keep your facility operating at peak performance. RX4CleanAir carries a broad selection of cartridge filters for all popular makes and models of cartridge collectors. See the full line of available Air King dust collector filters here.